Is IdealShape a Good Choice? For many people, meal replacement shakes are an appealing tool for weight loss. But, there are many companies that produce these shakes, so how do you figure out which one to go through? I have covered a number of different products and companies in diet reviews on this site, so this time we’re taking a look at IdealShape and their meal replacement shakes. To do this, I’ll be talking about what the shakes contain, how they work and what the IdealShape reviews have to say. IdealShape is a health and nutrition company that directly focuses on weight loss. To do this, the company offers a range of key products. Of these, much of the emphasis is on the meal replacement shakes. There are many IdealShape reviews out there that focus on the company as a whole or on IdealShape’s weight loss plan. But, this review mainly focuses on the meal replacement shakes – which is a range called IdealShake. Meal replacement shakes work like the name suggests. Basically, you end up replacing one (sometimes two) of your meals each day with a shake. The shakes are designed to help reduce your hunger and are also lower in calories than a typical meal. As a result, you can end up decreasing your overall calorie intake, leading to weight loss. On paper, the idea is great and it does work well for some people. But, it also has some limitations. For one thing, liquid calories are rarely as satisfying as calories you eat. Because of this, the shakes may not be as filling as you might expect. For some people, this means that they end up snacking when they wouldn’t normally or they eat more in their next meal. What impact this has depends on who you are. As the company claims, many people will find the shakes enjoyable and the process can feel like a treat. But, if you majorly struggle with hunger, the shakes may not work as well as the marketing implies. Indeed, some people find that meal replacement shakes don’t decrease their appetite much at all. Speaking of marketing, the company highlights something interesting about their shakes. Specifically, they talk about how the shake can satisfy you for ‘up to’ 3 hours. That’s not actually all that long. Certainly, 3 hours means that you couldn’t simply replace a meal with a shake. Instead, you’d need to have a snack a few hours later. This mostly defeats the purpose. To a degree, the reason for this is that IdealShape relies on the idea of snacking. Herbalife does this too, as do some other similar companies. The idea here is that eating frequently helps to keep your metabolism high, which then contributes to weight loss. However, the concept is largely a nutrition myth. In reality, there is little evidence that eating frequently can make weight loss easier (1). For that matter, eating frequently increases the chance that you will overeat, simply because you have more opportunities to do so. For many people, the pattern doesn’t even decrease hunger (2). At the same time, there are some biological benefits to being hungry (3,4,5) and some effective diets rely on this process (particularly intermittent fasting). In fairness, eating frequently does help some people. If you really struggle with being hungry, then the idea can work well and may even help with weight loss. But, if you don’t, the approach could mean that you end up eating more, rather than less. So, this is something to consider when looking at IdealShape. Personally, I’m not impressed by shakes that just keep you full for 3 hours (at best). That’s not long enough for most people and certainly isn’t sufficient to act as a meal replacement. As for the shakes themselves, IdealShape promotes a number of reasons why you should choose them. First of all, I’m not going to focus on the vitamins and minerals here. Most meal replacement shakes are designed to partially replace the nutrients that you get from food. IdealShake is supposed to be better than most but this is a side note. Hopefully, you’ll be getting key nutrients from your other meals and you’re certainly better off getting nutrients from actual food. Now, the low sugar content is good and very impressive. Many other companies (like Isagenix) contain fairly high amounts of sugar. At the same time the fat content of the shake is surprisingly low (3 grams). On a side note, the low sugar content does make IdealShape especially relevant for anyone on a low carb diet. These areas mean that the shakes are just 100 calories. However, they might be more when you prepare them, depending on what else you add. The low calorie count sounds like it should be great for weight loss. But, you’re trying to replace a meal. When you’re doing this, reducing your calories as much as humanly possible isn’t always a good plan. After all, if you’re not consuming enough, you’ll just be hungry shortly afterward. That brings me to protein. Across the site, IdealShape makes bold claims that its shakes contain 11 grams of protein. But, this isn’t a lot of protein. Instead, most competing shakes contain more. For example, Shakeology has 17 grams of protein per serving and Isagenix has 11 grams. Herbalife is one of the few companies that I’ve found that has less (9 grams). Indeed, the protein shake recommended on this site has 24 grams of protein. Honestly, 11 grams of protein is horrible – especially as these shakes are supposed to be filling. This alone suggests that the shakes won’t be very effective as a meal replacement, especially if you don’t want to rely on snacks. Nevertheless, there is one other factor to consider. The company does use Slendesta as part of the shakes. This is promoted as a ‘powerful hunger blocker’ and it is a potato protein extract. Specifically, the extract is supposed to promote the release of cholecystokinin (CCK) in the body, which helps people to feel less hungry. Well, that’s not really clear. The company doesn’t provide any evidence for its claims and no other company uses this extract so there isn’t much research. As the extract is likely to contain starch, it could help to decrease hunger in that way. However, that isn’t the effect the company claims. But, clearly the extract doesn’t work all that well. After all, the company itself says that the shakes keep you satisfied for ‘up to’ 3 hours. That’s a shorter window than you would like for a protein shake – and this alone makes the shakes unappealing. One other thing to note is that most of the shakes are gluten-free, with the exception of the Cookies and Cream flavor. Finally, the product uses a combination of whey and soy protein. As a result, the shakes might not be a good choice for anybody trying to avoid soy. There is some debate about lead in IdealShape. Specifically, this is because there is a sticker that says as much. However, the company and some reviewers state that the sticker is a legal requirement for the state of California. As the company points out, lead is a naturally occurring compound and it is present, in trace amounts, within many fruits and vegetables. However, those levels are not high enough to affect health. One interesting thing is that the company compares itself to other shakes. Of these, I’ve reviewed Shakeology before but not the others. The comparison looks great but it is biased. First of all, each brand here has multiple variations, which can be different than one another. For example, SlimFast has two versions, one of which does contain more protein and less sugar. At the same time, many of the areas of the table aren’t relevant to weight loss. For example, the money back guarantee doesn’t prove anything, nor does the nutrients per serving. IdealShape may be the only company that uses Slendesta but other companies have their own ingredients that are supposed to help block hunger. You can also take a look at the comparison of IdealShape vs Shakeology to see how IdealShape stacks up. The lower pricing of IdealShape isn’t as good as it sounds either. For one thing, the company is excluding many other brands, so there are lower priced options out there anyway. Additionally, the shakes here are only meant to keep you full for 3 hours. So, they’re not full meal replacements anyway. This means that you aren’t getting as much for your money as some other brands would offer. My research suggests that these shakes aren’t especially great for weight loss. But, what do IdealShake reviews have to say? After all, user experience is what matters the most if you’re going to rely on these shakes. Well, on Amazon, the shakes do get good average reviews. That outcome surprised me, as I expected to find more negative IdealShape reviews. There are many positive reviews elsewhere as well. I didn't notice many negative reviews about the effectiveness of the shakes. In part, this is simply because meal shakes work. As long as the product has decent protein and fiber, you'll lose weight. Some brands are much better than others but most do work to some degree or another. As always, there are debates about the flavor, with some people being more impressed than others. This pattern is partly because people vary in what they enjoy. However, some people mentioned that the formula changed in 2016, with the taste getting much worse. So, you may have to try them for yourself to figure out what you think. Thankfully, the company does have a fairly wide range of flavors, so you have a decent chance of finding a flavor that you like. To a degree, the way that you view your outcomes will depend on what you expect. For example, many of the people who left positive IdealShape reviews on Amazon already liked the concept of meal replacement shakes and knew what these involved. In contrast, if you’re trying this type of shake for the first time, your experience could be very different. Most people seem to use the shakes without problem. Nevertheless, some side effects have been reported as well. The side effects could be because of the shake specifically. But, it could also be simply the result of a person significantly changing their diet or increasing protein intake. There were also relatively few reviews mentioning side effects. So, while side effects are possible, they don't seem to be a serious issue. There are many positive IdealShape reviews, both for the shakes themselves and the program as a whole. The reviews and the testimonials alone suggest that IdealShape does work for weight loss. But, that was never really in dispute. For one thing, meal replacement shakes themselves are a tool for losing weight and they do work. This idea is used in many different companies and diets. Indeed, this type of shake can be powerful for people with a lot of weight to lose or who struggle at cutting down their calories. 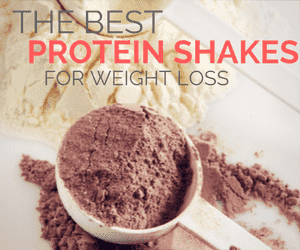 For example, the site Super Skinny Me talks about meal replacement shakes and protein shakes, plus how they can help with weight loss. After all, the basic process of replacing a meal with a shake is going to cut down your calorie intake. That alone can lead to weight loss for some people. If you were to follow the company’s entire 12-week weight loss system (IdealPlan), then you could potentially lose more weight. Basically, the system here involves the shakes, snack bars and a nutrition guide. The underlying concept is to use the products from IdealShape to eat a balanced, low-calorie diet. Doing so would result in weight loss. But, the question isn’t really whether or not IdealShape works. In many ways, losing weight isn’t the hard part. Instead, you need to be able to lose it in a healthy way and keep the weight off. A low-calorie diet with meal replacement shakes is one way to do this. However, the shakes aren’t as good nutritionally as the company claims. Instead, you’re still better off with a balanced diet that contains plenty of fruit and vegetables. If nothing else, you tend to get more plant-based compounds and antioxidants from actual food than you ever could from a shake. At the same time, relying on meal replacement shakes is often unsustainable. This is a major problem when it comes to weight loss. In many cases, people follow diets successfully in the short-term. This can lead to dramatic loss of weight. But, you’re often not learning healthy practices that you can use in the long-term. So, whenever you stop the diet, you tend to gain back at least some of the weight you lost. In some cases, people even end up heavier than when they started the diet. IdealShape falls into the short-term category. Regardless of how effective the shakes are, the focus is only on the short-term. The company offers little direction or support for keeping that weight off. Likewise, most people aren’t going to want to be replacing a meal with a shake for the rest of their life. This pattern is the biggest limitation with the company. It means that you could turn to IdealShape for weight loss alone. But, you still need a plan or system in place for once you have lost that weight. Otherwise, the process just ends up being a waste of time and money. The main option for buying shakes from the company is on the website itself. However, the shakes are mostly sold in packs, rather than individually. Nevertheless, you can also buy them on Amazon and they appear to be distributed by the company on there. Amazon may also be a better option if you want the shakes individually. At the end of the day, IdealShape isn’t particularly unusual. There are countless companies out there that offer similar products and nutrition plans. For example, one similar company is Take Shape for Life. Additionally, options like Shakeology, Herbalife and Isagenix all have similar meal replacement shakes. This doesn’t even count all the other options for meal replacement and protein shakes, such as the whey protein shakes that you can get from specialty health stores and even supermarkets. If you are going to focus on shakes, then basic protein shakes can often work better, especially as you’re often getting more protein and less sugar in the process. These may not have as many nutrients but a meal replacement shake is never going to contain all the nutrients you need anyway. Beyond this, relying on shakes to replace meals is a debatable decision. Yes, doing so can result in weight loss, at least in the short-term. But, you aren’t getting the same nutrients that you would from regular food. At the same time, the process can easily get expensive and you’re not learning healthy habits. For many people, it’s better to find a lifestyle approach that is healthy, sustainable and can lead to consistent weight loss. This idea can result in slower weight loss but you end up being able to keep off the weight that you do lose. So, you’re relying on a lifestyle, rather than a diet. By design, diets tend to be short-term with the aim of helping people to lose weight. And, many succeed at promoting weight loss. This includes fad diets like the 3 Day Diet Plan and the Grapefruit Diet. To do this, the diets often rely on tricks, such as specific products, supplements or unusual eating patterns. In contrast, a lifestyle is often less extreme. Here, you are following something that is supposed to work year after year. One of the key aspects of doing so is to pick a lifestyle that works for you. For example, some people follow a lifestyle based on the Paleo diet, while others may instead choose a low-carb option, a general low-calorie approach or intermittent fasting. Likewise, people often make variations to these lifestyles, based on their own needs. 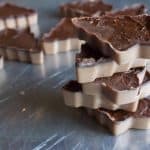 These lifestyle ideas can all work well because there are many healthy recipes that you can create when following them, such as low carb pumpkin recipes, Paleo holiday recipes and keto desserts. One specific example is Crispy Keto Fried Chicken from My PCOS Kitchen. But honestly, I could list hundreds of amazing healthy recipes. As a result, you get a weight loss approach that still lets you enjoy amazing food. As for which method you choose, I suggest taking a look at the various options and seeing what works for you. A good place to start is my post on weight loss and lifestyle, which looks at why this concept is so powerful and how you can personalize your approach to create the best outcomes. Have you tried meal replacement shakes? If so, what’s your favorite brand?